Great! You have passed your test but it does not have to end there! Having your own car is fantastic but for a new driver the cost of car insurance can be sky high. This is because statistics show that new drivers are more likely to have an accident in the first two years of passing their test than at any other time in their driving career. Age has nothing to do with it, it's just down to a lack of driving experience. Pass Plus+ is a great way to boost your skills and confidence and there is no test at the end of it! So, call us now to book your pass plus and become a better, safe and more confident driver! The Pass Plus scheme is made up of six course modules. All of the modules must be successfully completed to the required standard. 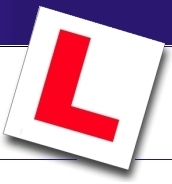 When you have successfully completed your Pass Plus training course you'll be sent a Pass Plus certificate from the Driving Standards Agency (DSA). You will be able to use this certificate to claim your motor insurance discount.